bebop spoken here: Preview: Swing Manouche - Cherry Tree Wednesday July 29. Preview: Swing Manouche - Cherry Tree Wednesday July 29. 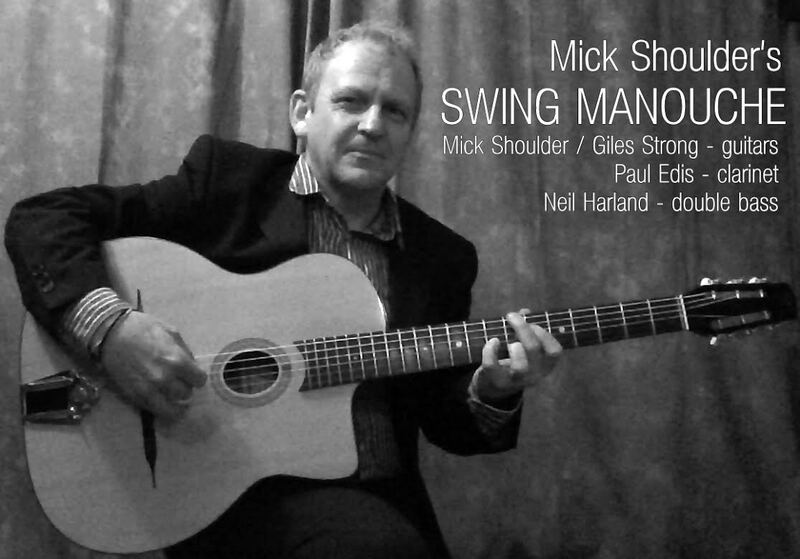 Next Wednesday (July 29) sees the first appearance at the highly rated restaurant by Mick Shoulder's new band Swing Manouche which, translated, means Gypsy Jazz. Still roughly based in the Hot Club format that made Djangologie, arguably, the most popular small jazz group in the area this latest venture allows Mick to swap double bass for guitar and bring in Paul Edis on clarinet. Don't look surprised, apart from piano, Paul has also been known to play alto, flute and drums - he probably sings and plays the ukulele as well! Completing the line-up is Giles Strong on guitar and Neil Harland double bass. This looks to be a must for those who like good food and good jazz. Cherry Tree Restaurant, 9 Osborne Rd., Jesmond, Newcastle NE2 2AE. Tel. 0191 2399924.